What Should I Ask My Doctor About UTIs? Lots of people get UTIs, and some get them a lot. 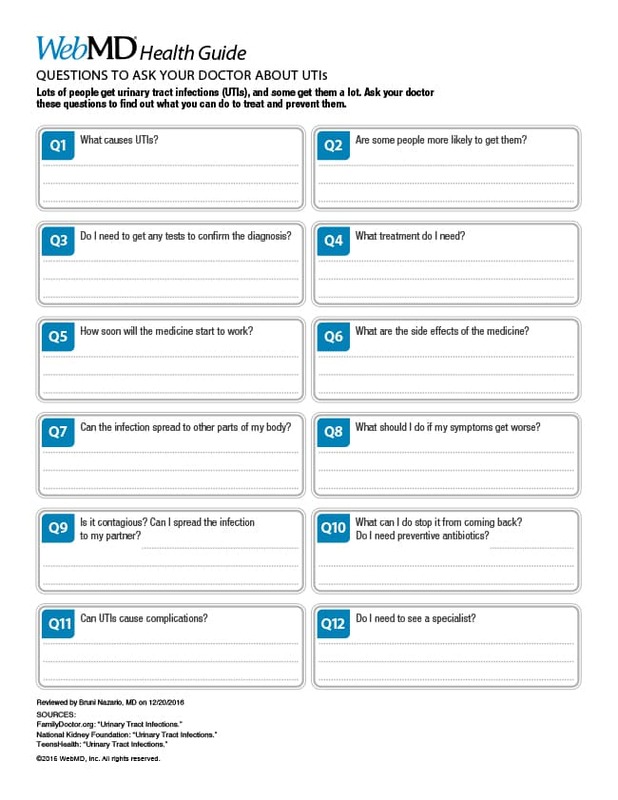 Ask your doctor these questions to find out what you can do to help treat and prevent them. National Kidney Foundation: "Urinary Tract Infections."